If you follow me on Instagram, you know that I love to make a mess. 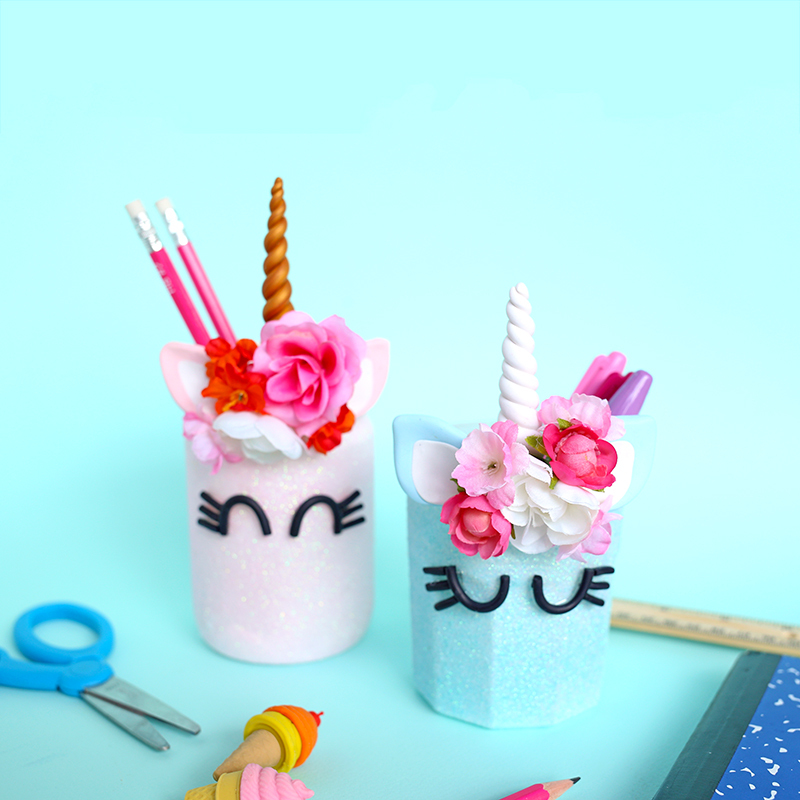 There’s nothing quite as fun as getting out your paint, glitter, paper, scissors and just being creative without a care in the world. However, as someone who loves to make a mess, I’ve done more than my fair share of cleaning. Cleaning is the necessary evil that goes along with mess making, and I’m always looking for tips and products that will make cleaning easier and sometimes even more fun. Let me introduce you to the Hoover Air Cordless Lift Upright Vacuum. It is seriously amazing and I think he might be my new best friend. The worst part of vacuuming is dealing with the cord. First you have to find a plug, then you have to hold the cord up in one hand and vacuum with the other. 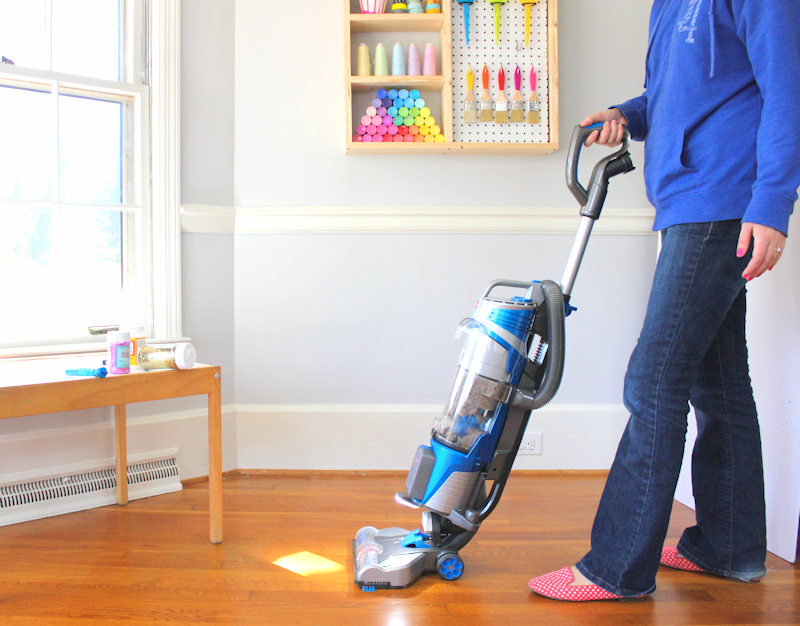 This vacuum has no cords at all – just two high power rechargeable batteries. Plus, it’s just as powerful as a regular vacuum. 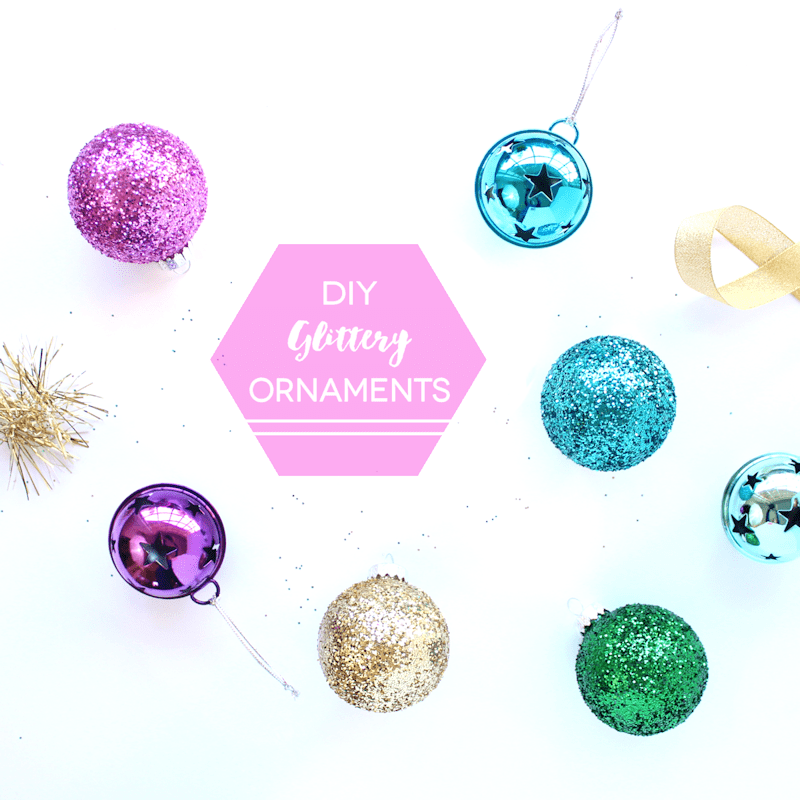 So now I can make a mess in one room (like the glitter bomb of a disaster left over from these DIY ornaments) and in just a few seconds I can vacuum it up. Another cool feature of this vacuum is that the bottom piece easily comes off and you can easily convert it to a canister style vacuum. This makes it even lighter and more portable and perfect for carrying around the house to clean up little messes that you or (as is more often the case) your kids make. It’s also perfect to carry outside and clean out the car. Now on to the tutorial. 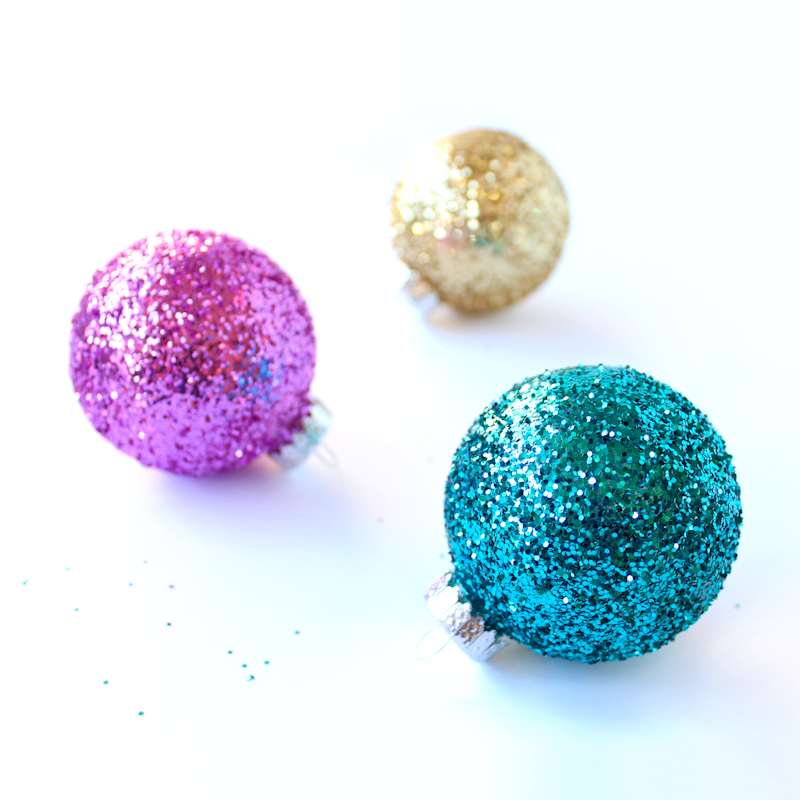 I love the look of glittery Christmas ornaments, and these are a really fun and simple holiday craft. 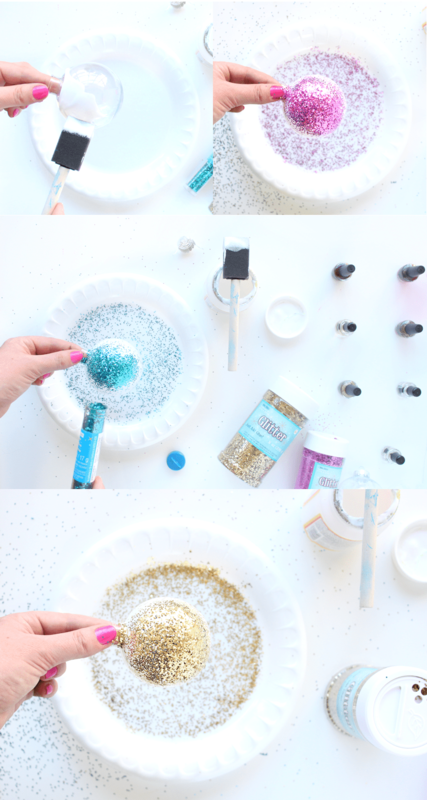 I also recommend using paper plates to catch most of the glitter in, and tiny nail polish bottles or even a bottle drying rack to set the DIY ornaments on while they dry. Most ornaments will have a little metal piece at the top that you can take off. 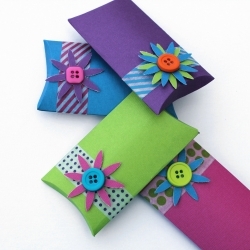 Paint a medium to thick coat of Mod Podge all over the surface of your ornament. 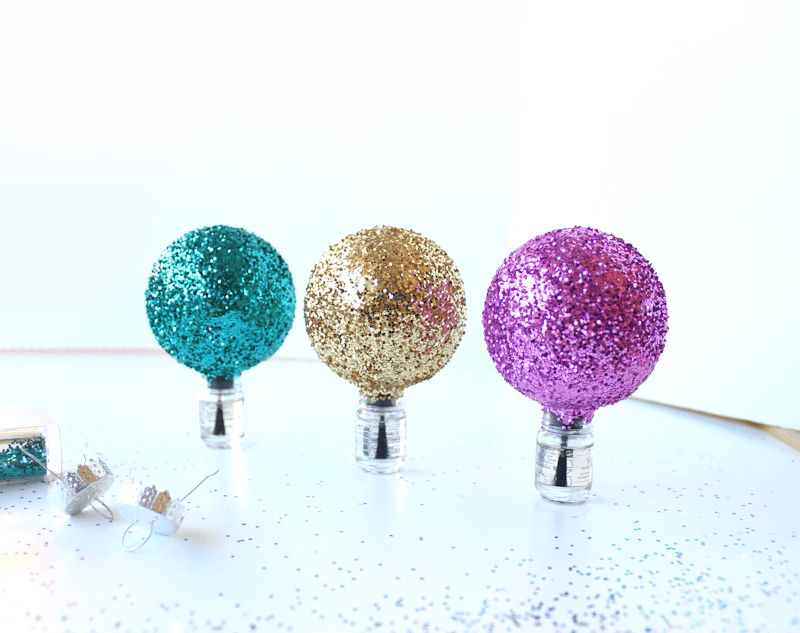 Immediately pour glitter all over your ornament. Set the ornaments somewhere safe to dry. I love using little nail polish bottles. When they are fully dried, you can add a second coat of Mod Podge or some kind of spray sealant to keep the glitter from falling off. 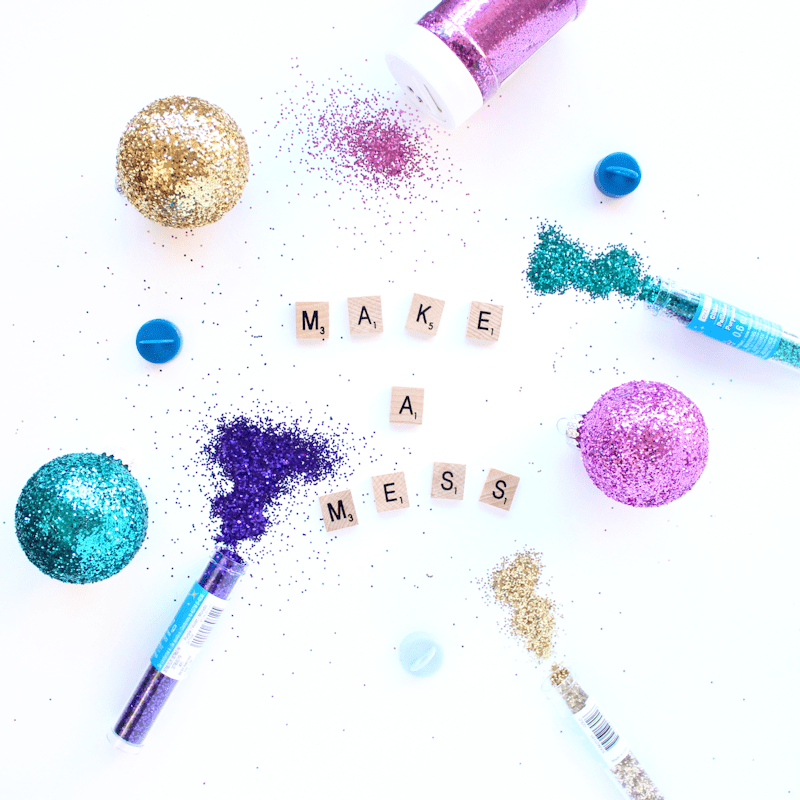 And I couldn’t resist putting together a little make a mess inspiration. If only Oliver hadn’t come through about a minute after this was taken and taken the mess to a whole new level. Glitter really does make everything better. These look great!